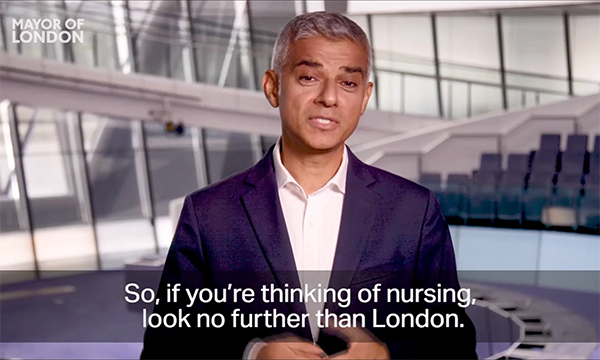 Sadiq Khan adds his voice to the RCN’s #NursingLondon recruitment campaign. The mayor of London has appealed to new nurses to come and work in the capital, as part of an RCN campaign to tackle the city’s nurse vacancies. The latest NHS Digital figures put the number of empty nursing posts in London at 7,941, higher than any other region in England. In a video in support of the college’s #NursingLondon campaign, Mr Khan says those considering joining the profession should ‘look no further than London’. Mr Khan, who opposed the government’s removal of the nursing bursary in England last year and warned that the move would make recruitment and retention of nurses more difficult, says: ‘The RCN has launched #NursingLondon, a campaign to promote nursing as a career and London as the place to work – as a proud champion of the NHS, I’m delighted to show my support. ‘Whether in care homes, in our own homes or on the wards of our hospitals, nurses make a massive difference to the lives of those closest to us. The government in England replaced the NHS bursary for student nurses with a tuition fees and loans system, which experts say has affected the number of students taking up places on degree programmes. A recent investigation by Nursing Standard and charity the Health Foundation found that one in four nursing students drop out before graduation. 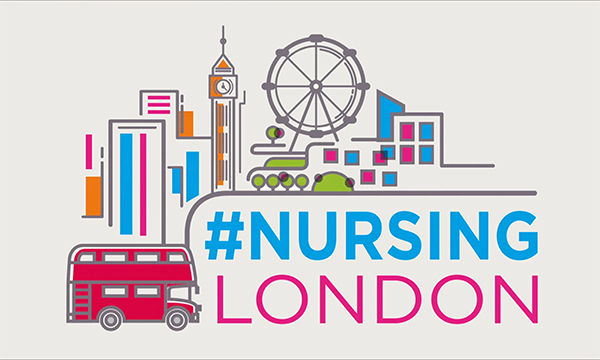 The #NursingLondon campaign is being run across social media, and is supported by NHS England and CapitalNurse. It has seen RCN London profile roles across a range of health and care settings and share nurses’ personal stories about why they chose nursing as a career. RCN London operational manager Mark Farmer said: ‘Unfortunately there remains a shortage of nursing staff in London due to a failure to recruit and retain enough nurses and a climate of negativity created by austerity.